Advances in computers and fabrication technology have allowed architects to create fantastic designs with relative ease that in years past would likely require the labor of countless master craftsmen. 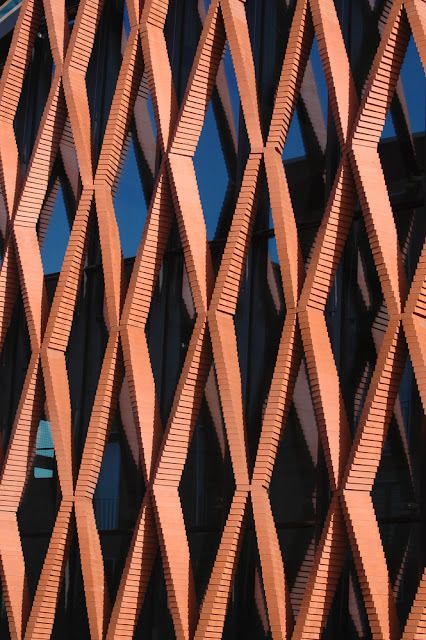 Architecture firms like Gramazio Kohler Architects are known for their innovative approach to digital fabrication, adapting technology from a variety of fields. 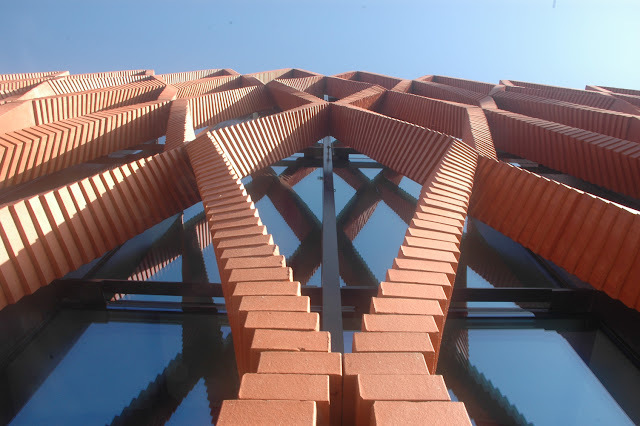 To create this stunning new brick façade for Keller AG Ziegeleien, Gramazio Kohler used an innovative robotic manufacturing process called “ROBmade,” which uses a robot to position and glue the bricks together. 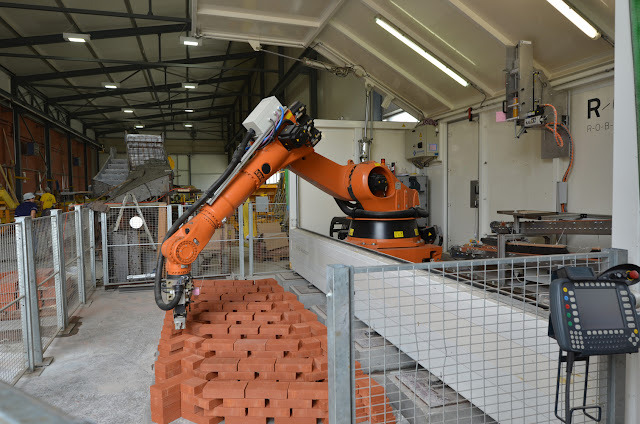 The robotic arm receives input from a 3D modeling program to carefully place thousands of bricks in a gracefully twisting pattern and automate most of the building process. The arm can carry out complicated functions with enormous precision, rotating bricks in multiple directions to create space between each brick, and to produce curvature and complicated shapes. 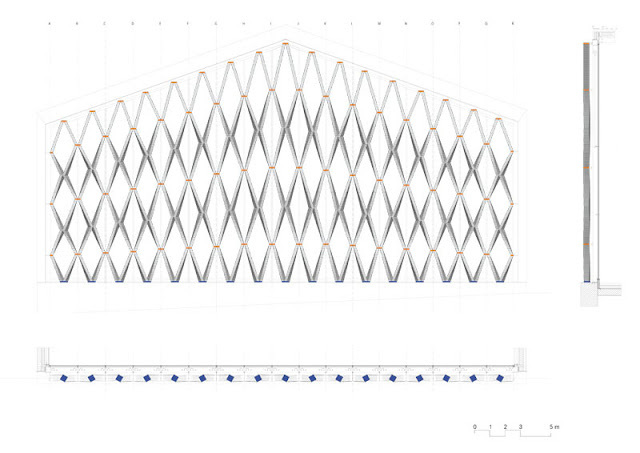 Gramazio Kohler uses this fabrication method for executing structurally crucial, intricate, and repeatable tasks. 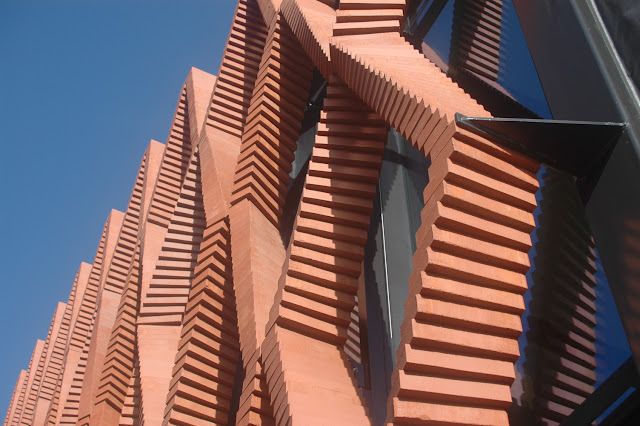 As shown in the video above, the robot makes dozens of identical pieces that, because of the precision with which they are made, allow the facade to have elements of sculptural rotation and be completely free-standing. In years past, Gramazio Kohler has conducted related research into automated production of unique wall systems. In 2012, they produced this video of “Flight Assembled Architecture,” exploring another way for robots to contribute to the construction process, in which flying robots stack bricks into a curvaceous tower without humans ever directly touching the bricks. To learn more about Gramazio Kohler's innovative approach to construction and see more of the firm's projects, click here.